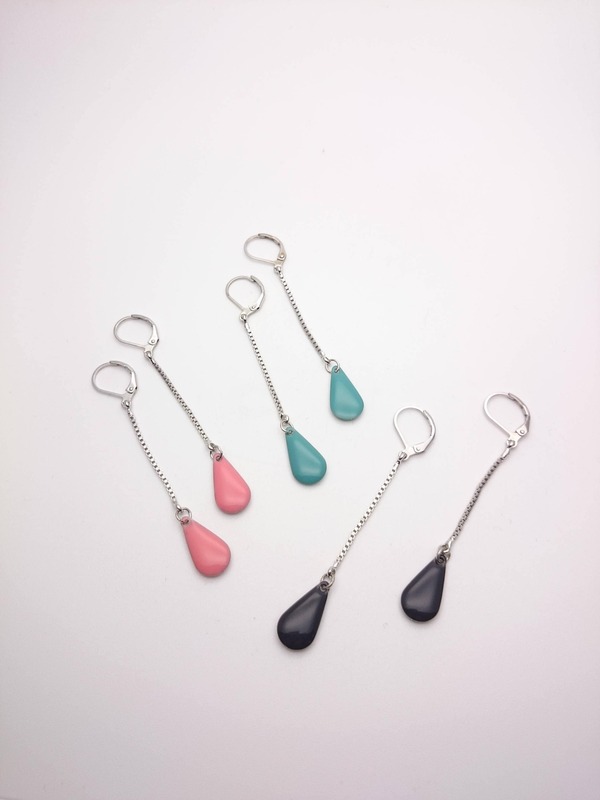 Long Silver Pink chain drop enamel Earrings//Rhodium plated brass chain and earwires color enamel dangle earrings hypoallergenic. 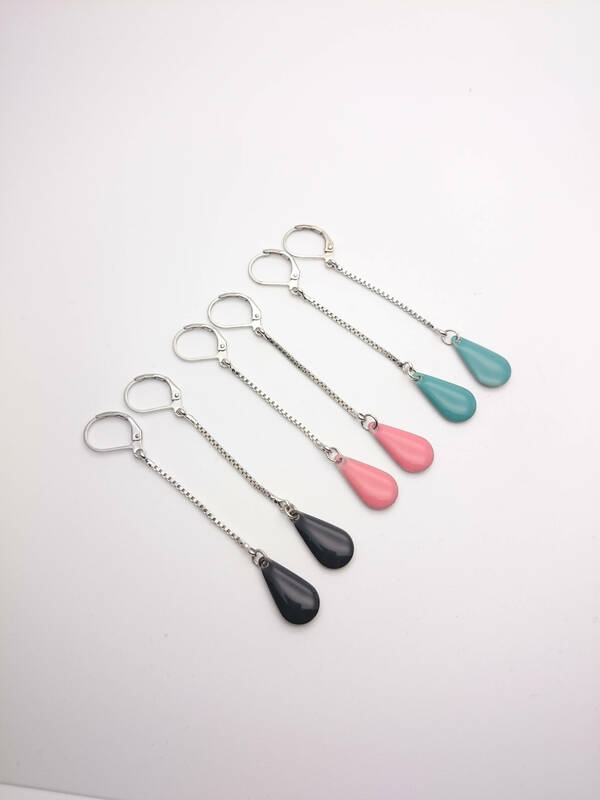 You can choose your favorite color : black, pink or green. ONLY PINK AVAILABLE NOW ! 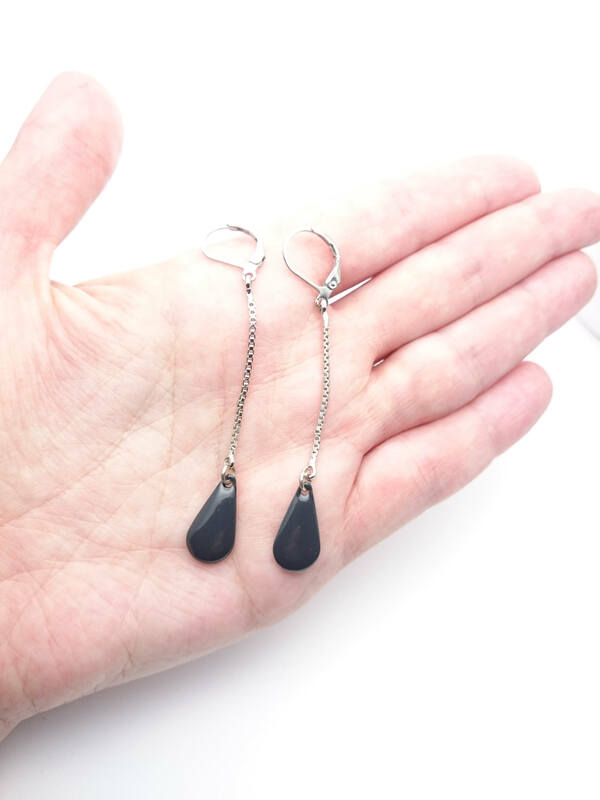 Hypoallergenic earrings for those with sensitive skin and metal allergies. 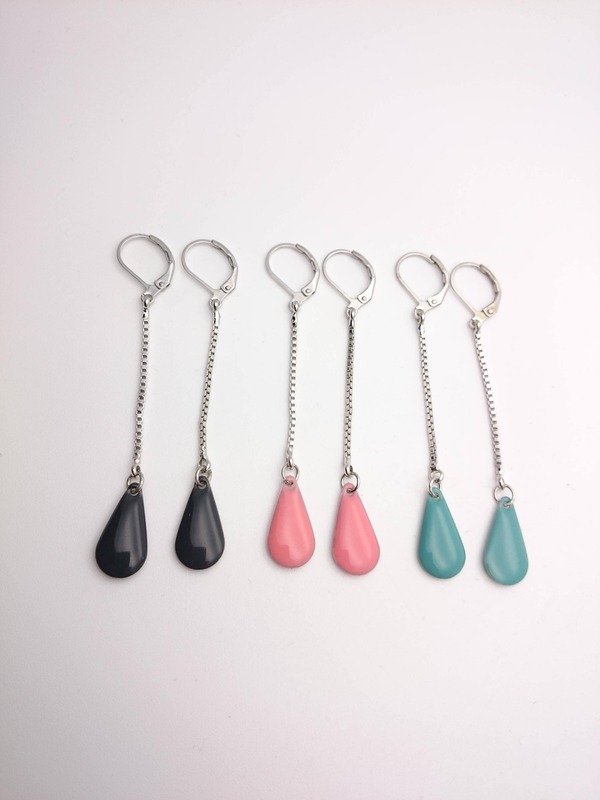 The entire earrings (with closures) are 70 mm long. 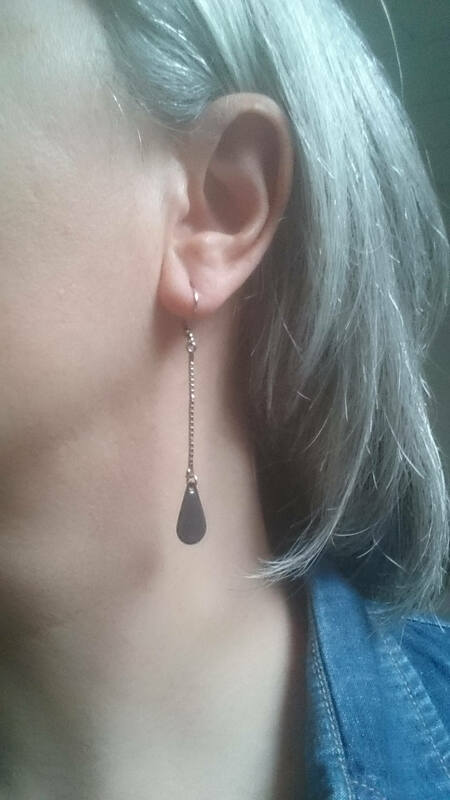 These earrings are light, shiny and easy to wear. For the occasion you want ! The chains and earwires are rhodium plated brass, nickel and lead free. The enameling is nickel free and lead free. Shiping : this item is shipped from Switzerland via Priority Mail and will be shipped within 3 days after your purchase.